During the last years DIRETTISSIMA and PICCOLA have successfully been claiming their spot at the high end of the market and the quality and functionality of these brakes has set the bar higher than ever before. The MAXIMA was launched via a crowdfunding camapign. Why? Trickstuff grew quite a bit in the last years which is particularly pleasing. Steady growth expansion means that there are new challenges to overcome. We did not solve all of them perfectly in the past. To avoid problems with availability from the start we have decided to limit the Maxima to this Kickstarter campaign for now. No other brake is as strong, exclusive and premium as the MAXIMA. This causes a lot of attention but leaves us in the dark when it comes to the actual demand. Kickstarter allows us to determine it exactly and lead the MAXIMA to success with the help of our customers. The lever blade has inherited its shape from the Direttissima. The lever blade is longer and has a higher progression throughout its travel but offers the same superior ergonomics. 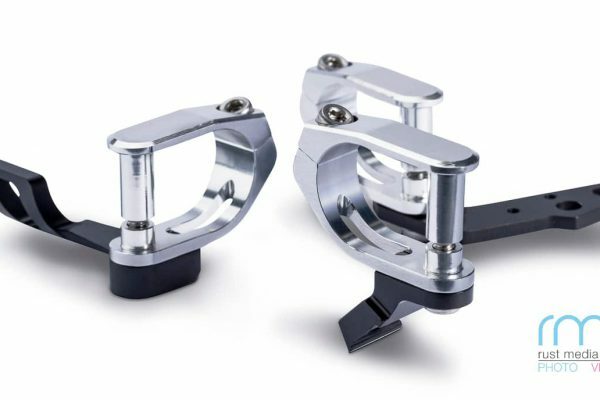 The 2-piece milled lever clamp is significantly stronger than the original minimalistic clamp and can compensate variations of the handlebar diameter. 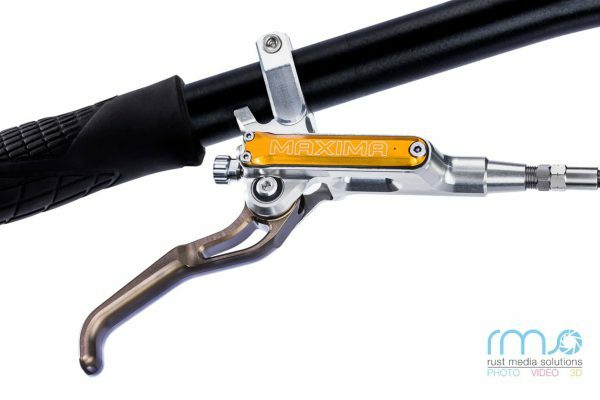 The tool free reach adjust for quick adjustment of the brake to the next trail. Extremly popular with our team riders. 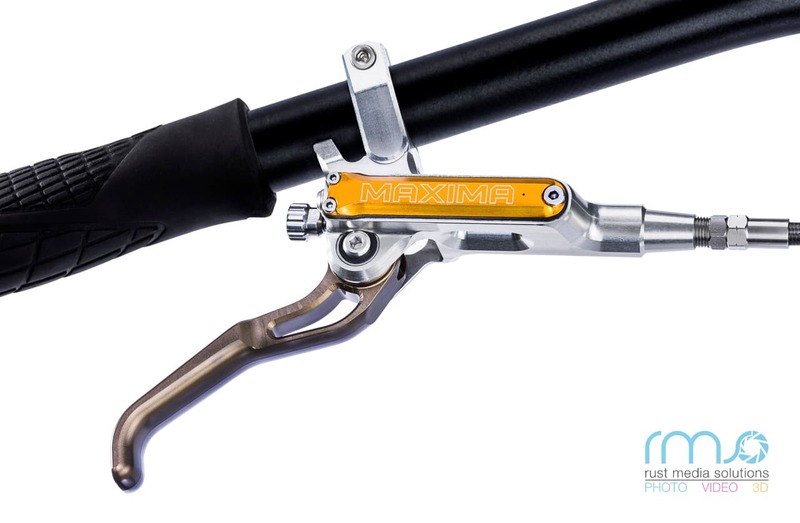 The MAXIMA comes with Goodridge braided steel brake hoses to ensure a defined bite point of the brake despite of the brakes immense power. 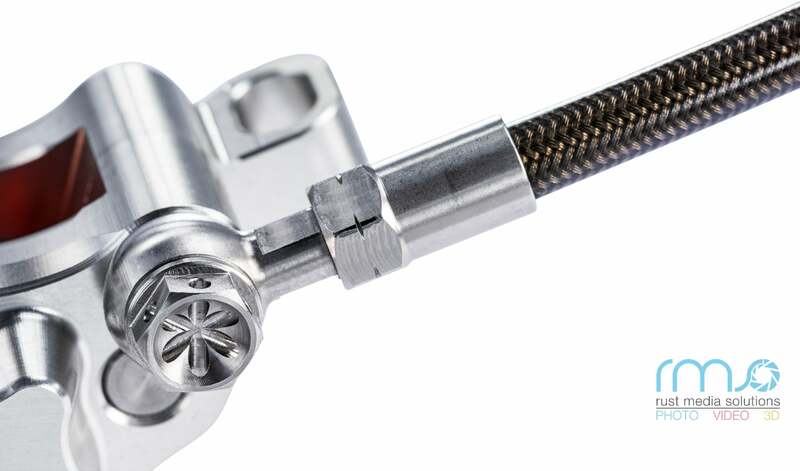 Goodridge braided steel brake hoses are 6 mm in diameter. 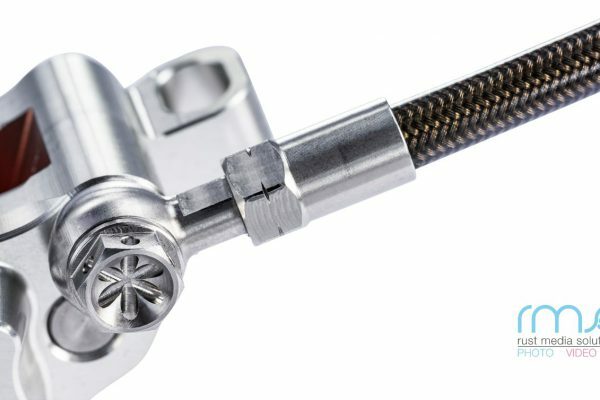 This is more than a usual 5 mm brake hose and has to be considered for internal routing. Interfaces for Sram and Shimano ( I-Spec I, I-Spec II & I-Spec-ev) are available and sold seperatly. 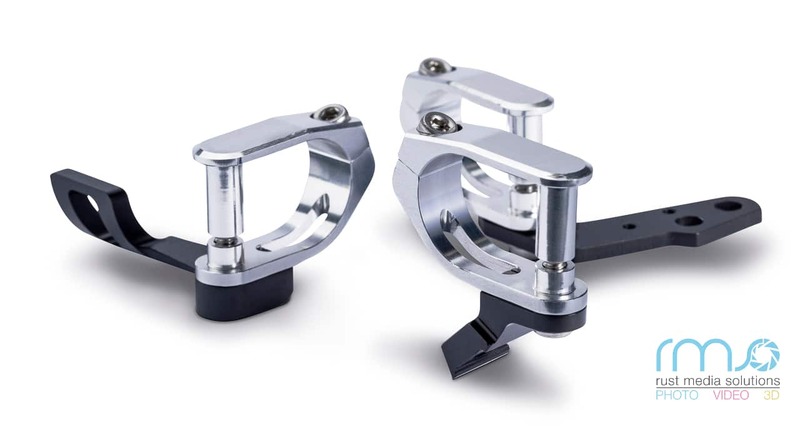 They are mounted to the brake using the original bolts and clamps that come with the brake. 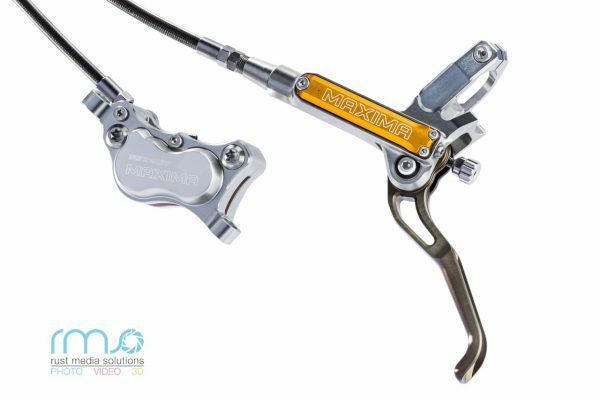 While our brakes were originally designed to be used with mineral oil we are building all our brakes with Bionol by DANICO. It is a refined plant oil. It is highly fluid, has a higher boiling point than mineral oil 420C, stays fluid in super low temperatures and above all these superlatives it is uncritical for the personal health and the environment. If the MAXIMA has to be bled without Bionol at hand any mineral oil for bicycle brakes can be used. The fluids can be mixed without concerns. 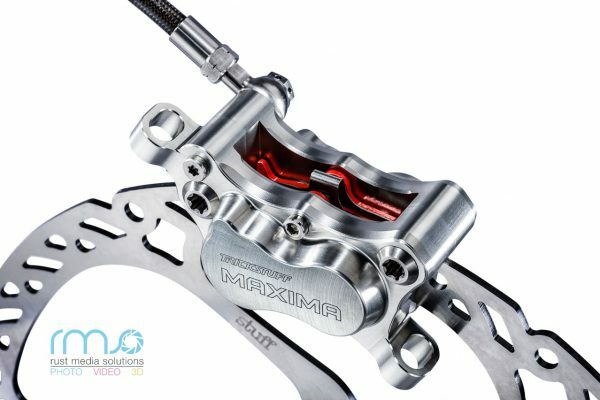 The MAXIMA brake pad is Trickstuff brake pad 730 Power. We adopted the shape of the Hope V4 brake pad. Its large surface contributes to the steadiness of the brakes performance. The Power compound delivers a higher friction than any other organic brake pad on the market and has a remarkably low wear. Like all Trickstuff brakes the MAXIMA is approved to be used with pads and rotors from other manufacturers. Made from 7075 aluminum. While we do not have our own production facilities, all metal works are being done by our partners in the black forest region in germany. 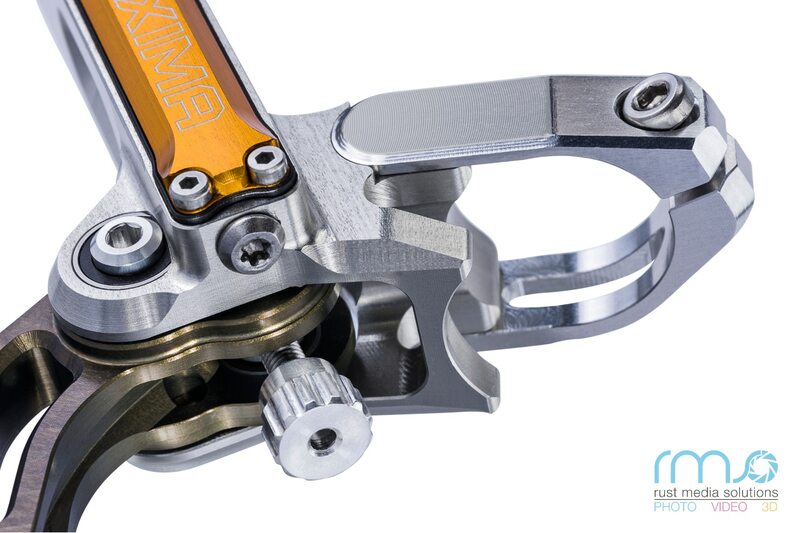 Assembly is done in our own workshop and each brake is built by one person to guarantee the maximum quality. We love racing, We are or were racers ourselves and love to be at the races to support our riders. This gives us the oppertunity to gain valuable feedback for our product development and quality control. If it makes sense for racers and doesn’t brake during a worldcup season it will also benefit our customers. This why we have developed the MAXIMA in consultation with the Polygon UR Team. Especially big man Mick „SIK MIK“ Hannah and his mechanic Jon Stout gave us valuable feedback to push the limit of the brake. Prototypes of the MAXIMA have been challenged by the toughest downhill courses since June 2018 and excelled. 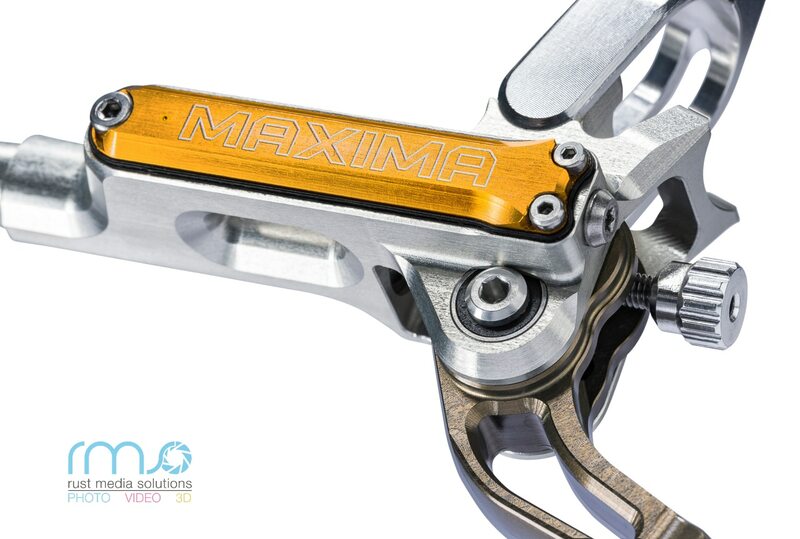 German Downhill Champion Nina Hoffmann had one day to try the MAXIMA before the world championships in Lenzerheide and immediatly decided to race with them. See for yourself what she has to say.